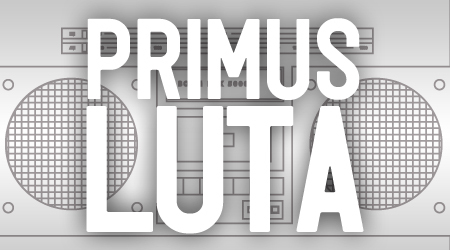 Primus Luta returns for April with another RIPL instalment taking in a fair bit of new and forthcoming music and covering a wide ranging remit from hip hop to blissful electronics and more. You should definitely be used to it by now. This month sees Primus pay particular attention to the work of Laurel Halo – with no less than four tracks from four different releases and aliases of hers including the forthcoming Hyperdub album, her King Felix alias and the RVGN intl collaboration with Lopatin and others – as well as Japanese experimental artist Koyxen who I wasn’t particularly up on but is definitely on my to check out list now. Alongside this we’ve got new music from Melo-X, Chrissy Murderbot, King Britt, Venetian Snares, Brey, Homeboy Sandman, El-P, Madlib and Georgia Anne Muldrow, Aesop Rock, Matthewdavid, Hawthorne Headhunters, Lone, Hype Williams, Untold, Rumpistol, Darkhouse Family and more. As I said, a sizeable run down of some of the more interesting corners of the music world. As always you can download and/or stream the show below or simply subscribe to our RSS/iTunes feed to receive all shows directly to your computer. We’re back Friday with a guest mix from Strand to celebrate his new album. Till then, bump and enjoy! This entry was posted on Monday, April 16th, 2012 at 5:55 pm. It is filed under Podcasts, Presented by Primus Luta and tagged with 2562, Lone, Madlib, El P, Aesop Rock, Untold, King Britt, Matthewdavid, Homeboy Sandman, Venetian Snares, Georgia Anne Muldrow, Brey, Darkhouse Family, Sensational, Chrissy Murderbot, Laurel Halo, Hawthorne Headhunters, Rumpistol, Hype Williams, Melo-X, Manni Dee, Romare, Koyxen, Last Japan, Lopatin, Rekchampa, Kwes. You can follow any responses to this entry through the RSS 2.0 feed.